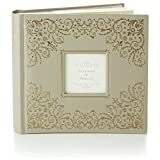 Save on Wedding Albums at Home Decor Outlet Store. Top brands include ukgiftstoreonline, C.R. Gibson, DivaDesigns, Hallmark, & Haysom Interiors. Hurry! Limited time offers. Offers valid only while supplies last.